The Jason Lovins Band spreads a very personal message that is as inspiring as their music, in a style that combines Contemporary Christian, rock-n-roll, and country music genres. The Kentucky-based Jason Lovins Band was formed in 2001 when Lovins and fellow Morehead State students started playing music at the University’s Baptist Campus Ministry. Years later, they’ve grown to become a sought after band that steadily plays multiple shows nearly every weekend, and they have become go-to artists for Billy Graham Evangelistic Association events around the country. As the band’s front-of-house (FOH) engineer, I rely heavily on two FBT rigs that we never leave behind. ­This band is interesting because we tour to a variety of venues of all shapes and sizes, rather than exclusively one type of venue, as most traditional touring bands do. We take everything with us on the road because we never know what kind of facility we will be loading into. We have two FBT rigs we use at nearly every event, depending on the size of the venue. Our ‘A’ rig includes left and right arrays of Mitus 206LA’s with a Mitus 212FSA per side for mains, and a pair of Mitus 118SA’s to cover the low-end on the floor level. I typically use our ‘A’ rig in all large facilities and outdoor venues, and it also incorporates our ‘B’ rig for front and side lls. Our ‘B’ rig is a pair of Mitus 112A’s alongside our Mitus 118SA’s for smaller venues where a line-array isn’t justified. ­e ‘B’ rig is used primarily for the smaller facilities we encounter, but it really is a vital part of our ‘A’ rig as well. We also have a pair of Verve 112MA’s as stage monitors when more presence on stage is desired. Th­e five band members each have dedicated in-ear monitor (IEM) mixes as well, so we use our Verve 112MA’s to taste as icing on an already great cake. We tend to use all of our sub enclosures regardless of facility size because the INFRA settings on MITUS series sub-woofers produce incredible low-end when paired together properly. Recently, I have been groundstacking our Mitus 212FSA’s and Mitus 118SA’s. Using the INFRA settings, I get quality in the low-end on a spectrum that I’ve never been able to produce before. 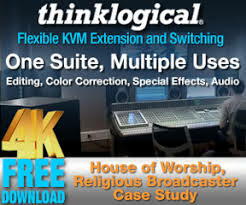 As we perform in churches around the country, we are always asked how we get such great sound in the low-end. I always respond by explaining that FBT has given us the ability to designate a portion of the frequency spectrum to both sub-woofers, rather than expect a single enclosure to be responsible for the entirety of the low-end frequency spectrum. ­is effectively allows our Mitus 118SA’s to produce frequencies they have never been able to before, due to the large amount of sub-level energy they have always been expected to produce by themselves. We toured approximately 46 weekends last year. We typically try to schedule multiple shows each weekend to reach as many people as possible in a short period of time. Most of the time, we will lead worship at a local church on Sunday morning, then perform in concert that evening in place of their normal Sunday evening service. This can pose a real challenge to an FOH engineer. When we load into a new facility, I have to prepare for concert level sound for evening performances, but also set up for a more intimate worship service on Sunday mornings. Trying to find that balance can be challenging sometimes. 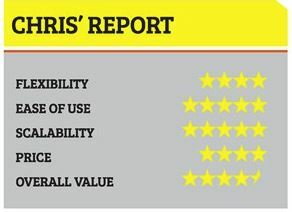 Sonically, our MITUS rig is not overbearingly harsh like many similarly designed systems from other manufacturers. 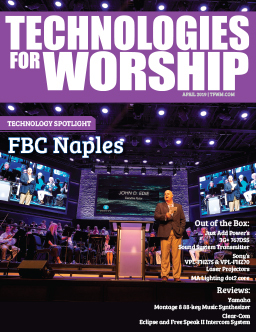 FBT has done a great job providing us a darker, warmer system geared specifically for those who need to find that middle ground between point and-shoot and large format line-array systems. Our system doesn’t overpower listeners in smaller venues the way many systems tend to do. Perceived loudness means everything to an FOH engineer whose primary purpose is to connect the audience with the band. For example, when the band is playing, I need to trust that our system won’t add to an already overwhelming build-up of high-frequency energy on stage from the collective loudness of so many instruments in close proximity to one another. Our audiences do not feel that the music is too loud, even when it may in fact be louder than they are used to. My goal is always to deliver a sound that is ‘big’ rather than ‘loud’ to our audience because one of the biggest concerns of an FOH engineer is ‘ear fatigue.’ As sound pressure level (SPL) increases, the ability of the ear to withstand that SPL for an extended period of time becomes increasingly more di­fficult. The warmer, darker tonality of our MITUS system helps lower the perceived loudness of the system, which translates to an easier listening environment. We are constantly setting up and tearing down our system in and out of venues, so we needed a system that is rugged enough to withstand the rigors of the road. FBT has provided a resilient speaker enclosure that, when secured in a well-built road case, can be easily protected during travel. Also, a Mitus 206LA array is incredibly light and comfortably rigged, which is quite a big deal as we’re expected to be up and running in two hours or less in most cases. I can easily set up our entire system by myself if needed, which makes it a great option for portable churches, as well as touring bands and small to medium size venue installs. 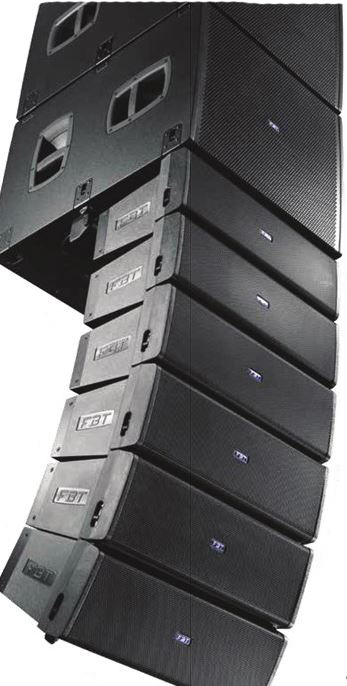 In my opinion, FBT is not trying to compete with the huge line-array systems you see at large, outdoor concerts and arenas, but it is a perfect solution for bands like ours who perform in all sorts of venues that need the flexibility this system is capable of. Jason has always developed great relationships with various manufacturers. He’s loyal once a relationship has been established, and when he finds a brand he likes, he sticks with it. ‑e decision to go with FBT was made prior to my joining the band, and was based on Jason’s knowledge and experience with FBT from the many years of traveling the country to churches who had also made the decision to join the FBT family. When it was time to upgrade our rig for touring, the decision to choose FBT was a no-brainer. After several years together, having a relationship where we can reach FBT directly and get problems resolved quickly without impacting performances is invaluable. For example, when we added the Mitus 212FSA’s to the rig last year, they didn’t ship with the extra rigging pieces needed to meet every potential configuration. We were able to email Italian Speaker Imports (who distribute FBT in the USA) and receive a response right away. We had the extra rigging pieces in hand within days. 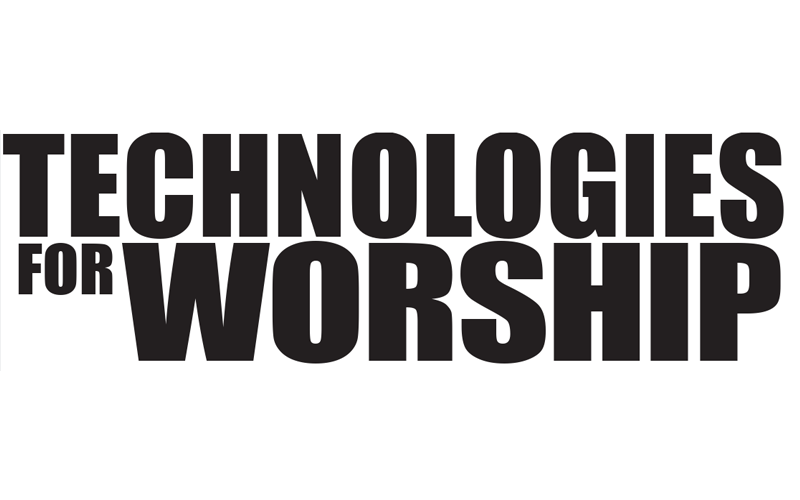 For touring bands and houses of worship looking to replace or upgrade their existing sound reinforcement systems, there are many choices and a lot of great systems out there. Not only has FBT developed a light-weight, great sounding line array system, but Italian Speaker Imports on behalf of FBT also provide unparalleled customer support. They take pride in their systems, and want their customer to have great experiences, not only with the speakers themselves, but with their company as well. Their personal commitment is a major selling point over and above an already great quality sound reinforcement system. CHRIS MUSIC HAS BEEN TOURING WITH THE JASON LOVINS BAND AS THEIR FOH ENGINEER SINCE 2014 AFTER INTERNING AT HARVEST STUDIOS WHERE THE BAND HAD JUST FINISHED THEIR SIXTH STUDIO ALBUM.